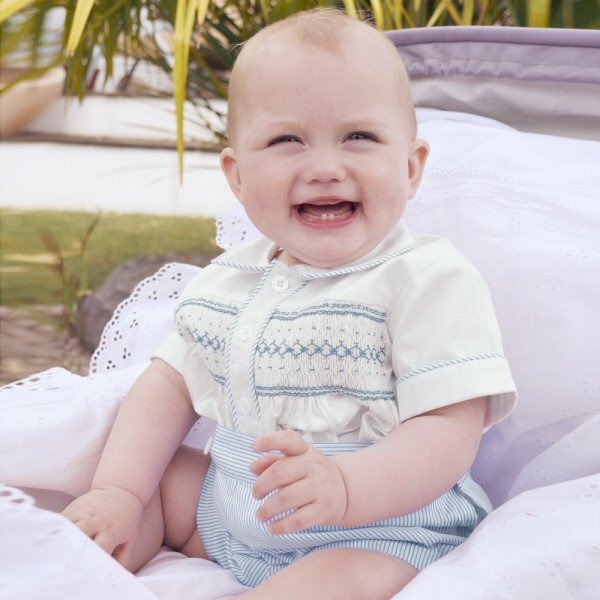 Your little baby girl will look adorable wearing this The Tiny Universe girls 'The Tiny Ribbon' ivory bubble hem dress made from a beautifully soft cotton jersey with pretty puffed shoulders, flared skirt and a black bow belt that can be detached. 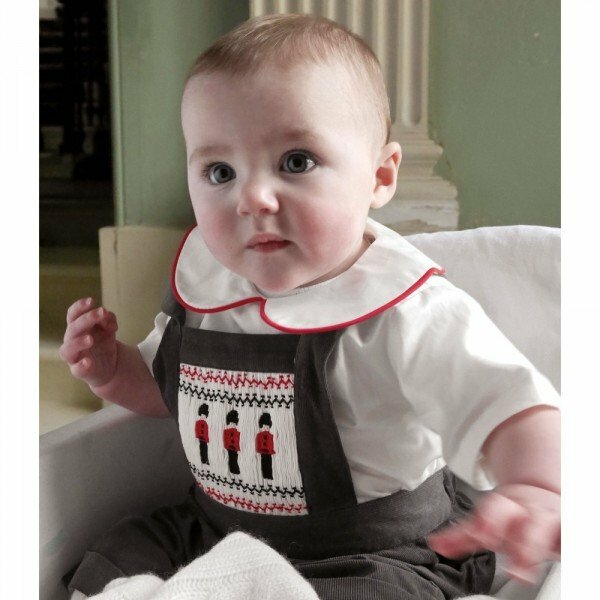 Her baby brother will look picture perfect wearing this baby boys ivory 'The Velvet Tuxedo' babygrow by The Tiny Universe made from soft and stretchy jersey cotton. 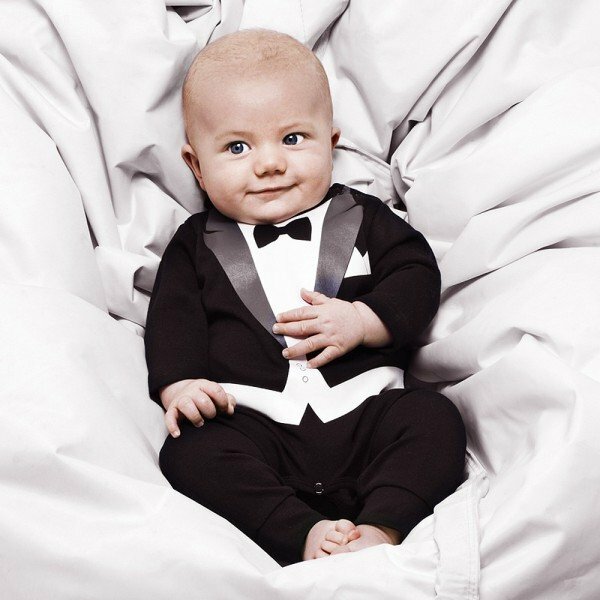 It has an adorable tuxedo print on the front, with velvet feel collar and tie. Perfect look for any special occasion including a wedding or holiday party. Ships Wordwide.